The moment a letter or package enters the corporate mail center for internal delivery, it must follow a process for rapid processing. No mail center worth its salt treats any inbound material with less than the utmost urgency — whether it be opening and processing remittances, sorting and delivering white mail, or distributing packages. What has changed is the composition of inbound mail: less white mail and more packages. This has led to changes in the mail center itself, with the rise of automated mailbox/parcel lockers as a key distribution tool. What has also changed is the technology available for opening, tracking, sorting, routing, and distributing incoming mail. Mail centers can use tracking systems for individual items or in an automated setting for remittances and item processing. Mail centers can also scan inbound checks, remittances, invoices or any other document and digitally distribute it to the internal recipient. — Mail opening and extracting systems automate processing, speeding incoming mail through the organization. Advanced tracking and management systems help you maximize remittance processing operations (click for Mail Openers/Extractors listing). — Tracking systems let mail centers record the receipt and delivery of mail and packages within the organization (click for Tracking/Receiving Systems listing). They also email or text notify recipients that a package is waiting for them. — Scanning systems digitize any paper or electronic document and electronically distribute it to the end-user. (Click for example of digitizing technology). — Incoming Mail Sorters automate the sorting of mail by employee, department, or building. For large operations, sorters are invaluable in speeding the delivery of mail and packages (click for Incoming Mail Sorters listing). 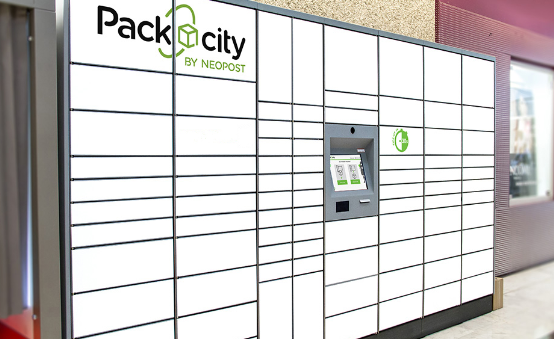 — Mailbox/Parcel Lockers have been revolutionized from simple lockers into automated systems that track shipments, notify recipients by email or text, and centralize distribution (click for Parcel/Mailbox Lockers listing). — Incoming mail data collection systems help account for the life cycle of an incoming document and improve processing for remittances and other valuable mail (Click for example of data collection systems).